Mega Man Xtreme left us feeling a bit underwhelmed. While its intentions were certainly good, the execution was lacking and the experience felt like a far clunkier retread of levels we've already played before, rather than much of a game in its own right. However it's worth noting that the game was originally released for the Game Boy Color, which wasn't a system exactly known for its power. 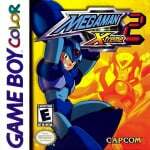 Perhaps Mega Man Xtreme, flawed though it was was, reflected the only Mega Man X experience we could rightly expect from the handheld. Leave it to Mega Man Xtreme 2, then, to dispel that suspicion thoroughly. Mega Man Xtreme 2 isn't a great game, but it's certainly a good one, and the improvement begins from the ground up. Gone are the frequent "loading..." checkpoints interrupting the flow of play. Xtreme 2 still needs to refresh itself, but now it happens far more organically, and far less obtrusively. You also don't need to choose between two different methods of dashing, each with their own benefits and drawbacks. Wisely, Capcom allowed for both options simultaneously; you can either press down and A, or double tap in a direction. This is undoubtedly an improvement. The repetitiveness of the first game has also been eliminated. 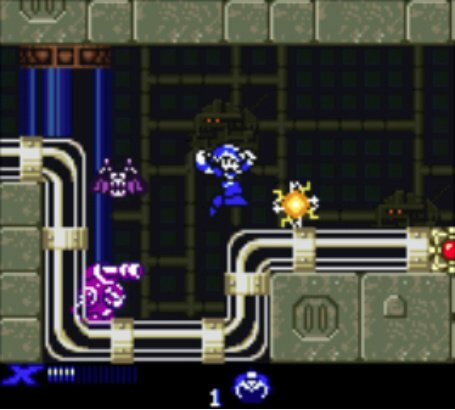 In our review of that game, we joked that Zero seemed to be on a much more exciting mission than X, which made it all the more disappointing that we were stuck with Dr. Light's creation rather than Dr. Wily's. Well, here in Xtreme 2, we get to follow both, and even though they find themselves in the same closing levels, they often take completely different paths and fight different bosses as well. On top of that, the two characters control very differently, and require unique strategies to master, making the relatively few instances of overlap feel fresh anyway. From the start you can choose to play as either X or Zero, but you will have to beat both missions in order to really save the day. X will square off against two bosses from Mega Man X (Launch Octopus and Flame Mammoth) and two from Mega Man X3 (Neon Tiger and Volt Catfish). Zero faces two from Mega Man X2 (Wire Sponge and Overdrive Ostrich) and two from Mega Man X3 (Blast Hornet and Tunnel Rhino). That covers three games with the initial boss selection alone, and a major appearance from Zero's sweetheart Iris pulls some Mega Man X4 mythology into the mix. 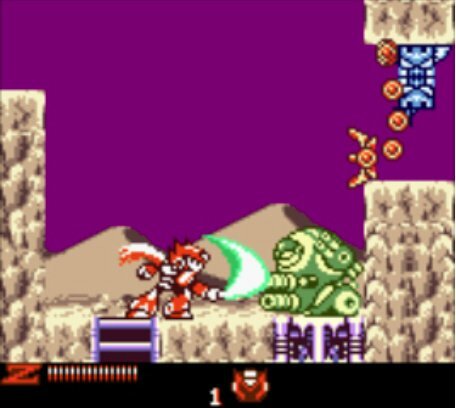 Interestingly enough, the soul-collection aspect of this game seems to presage a similar mechanic in Mega Man X6. That one's surely coincidental, but it still helps Xtreme 2 to feel like a larger, more expansive adventure than we've seen before. As usual, heart tanks and sub tanks are found scattered throughout the stages. However, this time, there are a few more wrinkles to item collection. The Dr. Light capsules, for instance, now dispense parts for both X and Zero, something that might be logistically problematic, but also helps to make the game that much more fun. Additionally, both X and Zero earn different upgrades from defeated bosses, but the way in which they are handled depends on knowing more about the fundamental gameplay differences between the two characters. Playing as X is more or less unchanged from the previous game. He can dash, wall jump, and charge his shots. 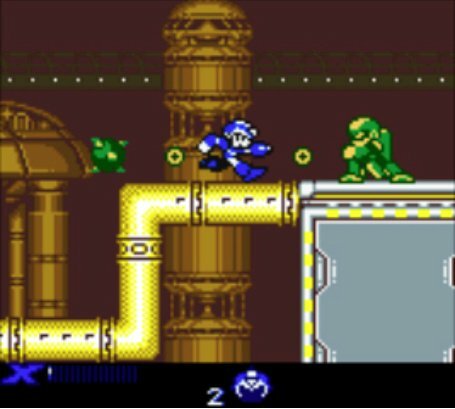 The gameplay is straight-forward action platforming, and the weapons he gets from defeated bosses reflect that: they are offensive upgrades, allowing for different ways of blasting down foes. Brilliantly, however, many bosses give weapons other than the ones they pass on in the console games, offering up a quite pleasant surprise on the announcement screen. Zero, on the other hand, provides a mission that makes Xtreme 2 feel like a trial run for his spotlight appearance in Mega Man Zero. With no blaster at all, Zero is far more reliant on maneuverability. His weapon is the Z-Sabre, which is very powerful but also comes with a short range and a slow swing. This means that Zero can't afford to attack endlessly in the blind hopes of making it through alive, because he won't. X can rely on a little bit of luck, but Zero can never ease up on his cunning. Reflecting this, the abilities Zero accumulates from slain bosses largely expand his movement, or his proficiencies with the Z-Sabre. Zero isn't a chameleon the way X or Mega Man are; Zero is true to himself, and to his identity. Zero knows who he is, and what he wants. Zero is interested in becoming a bigger, better, more formidable version of himself, rather than feeling satisfied with the lesser mimicry of past adversaries. So far, so good, and when the layered, colourful backgrounds of the stages make themselves clear — alongside an impressive soundtrack and improved dialogue sequences — you might fairly conclude that you're in for a great ride. Sadly, Xtreme 2 does have its problems. For instance, the ability to switch between X and Zero on the fly is restricted to just a handful of levels — at least until you unlock a harder mode. There's also the same needlessly vague instructions about how to carry over one completed file to the next — which far too easily can result in losing your progress, and really should have been changed after the first Xtreme — and X and Zero both have sprites that stand out as unimpressive beside the major graphical upgrade that the rest of the game has received. The shop feature is a nice addition, allowing upgrades for both characters to be purchased in exchange for the "souls" that fallen enemies drop. However it's not always clear how these upgrades are unlocked, or what's available at any given time, making it a small but noticeable obstacle for completionists to fret over. It's also slightly annoying that the button combinations for unleashing Zero's moves aren't spelled out as you collect them. Since they're nearly all movement based, it can take a while to figure out how to use whatever it is you just learned — let alone what to use it for. It's problematic, because X's new abilities are variations on a simple, one-button attack. Zero's, however, require a certain graceful mastery, and it's unfortunate that the game doesn't help you to achieve that. We're sure that this results in many players never bothering with them, and that's an enormous shame. These complaints are relatively minor, but they do mount up. In the end, it's an experience worth having, and one that exceeds its predecessor in every way, but it's still one that hasn't entirely met its own potential. We never did get an Xtreme 3, but with Xtreme 2 we do at least catch a glimpse of what greatness this particular subseries could have reached, and that's reason enough to give this a spin. Mega Man Xtreme 2 is a major improvement in every way over its predecessor. It looks fantastic, plays very well, offers a smooth and varied experience and draws from a whopping four Mega Man X games. This is much closer to the portable X experience that fans could perhaps expect, and while screen size, some minor control issues and a few unresolved problems from the first game contribute a bit of a drag factor, it's still an ultimately enjoyable experience. Is this the best out of the portable games? @kingston589 How about reading the other recent reviews? I actually never knew there was a second one! I grew up with the first one too! Actually, I'm pretty Xtreme 1 and Battle Network were my first Mega Man experiences. Most people seem to prefer Mega Man V on Gameboy. It's a great game with completely new bosses. @kingston589 Mega Man IV and V are the best ones. I must have played through this game two dozen times since its release! I love it! Now, I can't wait for them to release 7 and X3 on Wii U! Will skip. Was severely let down by the first release that was MM: Xtreme. Enough to not even want to look at the other games. Plus, I still see that they never bothered to change the controls, or even let us tie the dash button to the shoulder buttons like I'm used to from the console versions and prefer, which is even less reason for me to get this. @Noboty You'd be doing yourself a big disservice, believe me. Mega Man IV and especially V are really, really good, and so is Xtreme 2 in my opinion. III is also pretty good. @Philip_J_Reed "You also don't need to choose between two different methods of dashing, each with their own benefits and drawbacks. Wisely, Capcom allowed for both options simultaneously; you can either press down and A, or double tap in a direction. This is undoubtedly an improvement." Don't know if you knew or not, but you can use both of these options simultaneously in Xtreme 1 as well. @kingston589 I do dare say that Mega Man Zero 2 is the best of the portable games in the franchise, but to get that onto your 3DS, you have to either use a flashcart or buy the Mega Man Zero Collection for the DS. Or did you mean the eShop-available ones? @Hy8ogen Don't own a WiiU. Prior to this E3, it didn't have enough games making it worth owning to rub together. @Noelemahc Might as well get it now since alot of tittles are coming! I have been enjoying titles like Monster Hunter, Mario 3D, pikmin 3 etc on my console for the past year! Each to their own I guess. @Hy8ogen Already have Monster Hunter on 3DS (same for Mario 3D Land, I'm assuming the WiiU one has different levels, but not a big Mario fan in general), and most of the other WiiU titles prior to this E3 I already own on other platforms. Between the new stuff and SMTxFE, however, I'm starting to waver in my determination to save up for a PS4. @Noelemahc I get ya. I do not own any Gen 7 consoles. My Wii U was my first home console in 10 years. So I was able to enjoy some Gen 7 games on my Wii U as they are the better versions of the big 3. After seeing E3, it's hard not to waver XD! The Wii U's library is getting much better now. 2015 is going to be a big year! Nintendo doesn't allow the controls to be changed. Thats not Capcom's fault. And even if they did, dashing in this game is still down + jump. I never had a chance to play this on the GBC so I'll have to check it out. This was the very first Mega Man game I ever played and owned,a friend of mine from school just gave outta nowhere,however I lost a couple of years after that;once I found out this game was available at the E-shop I got it along with Xtreme1. I'm glad I can finally replay this game along with being able to finally play the first one!! !